The use of wireless LAN has reached mass adoption, so finding the techology in devices that help eliminate the number of wires connected to your home office is always a boon. 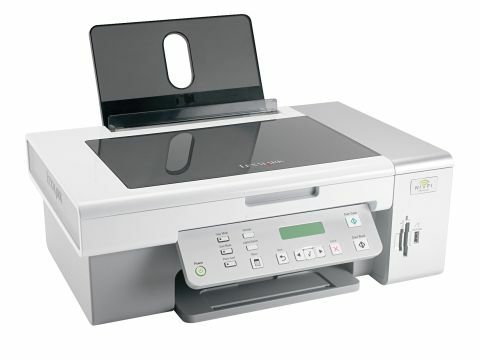 One look at the Lexmark X4550 all-in-one printer (£60 inc. VAT) and you'll know it's not been made for the mobile market. Weighing 5.8kg and measuring 286 x 453 x 533mm, this is a big, desktop machine. However, it comes with wireless LAN support in the form of an 802.11g chip built in and an antenna on the back of the design, so can be used by any Wi-Fi-enabled laptop. Lexmark has taken a great deal of the pressure out of setting up the printer by supplying a CD-ROM that gives you a step-by-step guide. It also helps you set up the wireless side of the printer too. Aside from the standard disc for Windows, there is also a disc for Apple Macs, so any user can use this machine, which is a growing trend, but something that is seldom seen in the wireless space. However, the problem we have with the software is that it insists on you connecting to a router and doesn't allow for ad hoc connections via a sole laptop. This is fine if you've already set up a network, but less so if you're a sole trader. Assuming you have a network in place, setting up the all-in-one is simple and, once connected, the quality it provides is more than acceptable. The printer itself supports 15 pages a minute in standard monochrome and six in full colour, while the scanner can easily capture images up to 19200 x 19200 dpi in enhanced mode, while the standard scan is 600 x 1200 dpi, which is more than enough for most uses. The Lexmark X4550 may not be the best printer on the market, nor the most compact all-in-one we've come across, but it does the job adequately and with minimum of wastage. We found it easy to set up and, as long as your needs are average and not high-end, you'll find this a great solution.